Battered by the worst recession in decades, vast numbers of Americans see lean times ahead for the long term – and plan to recalibrate their lives accordingly. Two concerns stand out in particular: Half the population in this new ABC News poll thinks both job security and retirement prospects in the years ahead will remain worse than their pre-recession levels. Four in 10 also see worsened prospects for the availability of jobs and advancement, and, consequently, their own spending power. Click here for PDF with charts and full questionnaire. hose diminished expectations – plus the pain of the current downturn – are fueling retrenchments in consumer behavior that could fundamentally reshape the economy. Majorities in this national survey say they plan in the years ahead to spend less, save more, invest more conservatively and, above all, to cut their credit card debt. Those diminished expectations – plus the pain of the current downturn – are fueling retrenchments in consumer behavior that could fundamentally reshape the economy. Majorities in this national survey say they plan in the years ahead to spend less, save more, invest more conservatively and, above all, to cut their credit card debt. The ultimate extent of this potential realignment depends on the depth of the recession and nature of the recovery that follows. But consumer pullback already is well under way: Retail sales in May were down 9.6 percent from a year earlier, consumer credit declined at an annual rate of 7.5 percent in April and the savings rate hit a 14-year high. With consumer spending accounting for an estimated 70 percent of economic activity, these changes are profound. What lies ahead could be even more so. Ongoing polling by ABC News has documented the extent of consumer pain to date. While there’s been a largely politically inspired rise in expectations that the worst is over (chiefly among Democrats expressing confidence in the Obama administration), ratings of current economic conditions remain near their record low in 23 years of weekly polling, with rising gasoline prices threatening to darken the picture further. 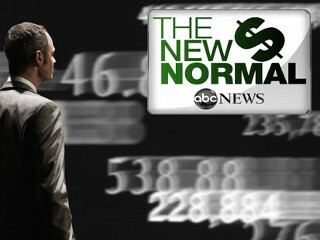 This new survey, part of a weeklong ABC News series, “The New Normal,” moves the discussion to more forward-looking measurements, asking Americans whether they think long-term economic conditions will regain, exceed or be worse than their pre-recession levels – and their own intentions to spend, save and take on debt in the future. In the biggest intended shift, a remarkable 66 percent say they’ll be less willing in the years ahead to take on credit card debt, with 52 percent “much” less willing to do so – the highest intensity pullback by far. More than half also say they’re less apt to take out loans or a mortgage, invest in the stock market or spend money overall. And two-thirds insist they’ll try harder to save. EXPECTATIONS – The potential trends look especially grim for luxury and big-ticket products, better for budget-based indulgences. Fifty percent of Americans expect their ability to afford “larger luxuries” to remain worse than it was before the recession, while just 16 percent see it improving beyond its pre-recession level. From new cars to jewelry to high-end holidays, today’s troubles could well linger. But even on basics the picture’s not good: Over the long term anywhere from 40 to 43 percent – huge numbers of consumers – don’t expect the availability of jobs to regain its pre-recession levels and see worsened advancement opportunities for those who do have work. Equally as many expect a diminished ability to afford things they want and need in general, and, in one particular, anticipate greater difficulty paying for health care.